Winner of a one-star rating in The Michelin Guide to Kyoto Osaka and Tottori 2019, Pierre affords the finest in InterContinental Osaka dining. Under the supervision of Executive Chef Tobias Gensheimer and Head Chef Okubo, Pierre is our signature dining experience. Guests enjoy superb culinary creativity from our signature Olive Beef to exquisite seafood, veal, and vegetable dishes carefully prepared in refined French style. Each dinner is a sumptuous feast for the eye and palate with delicate Japanese touches. 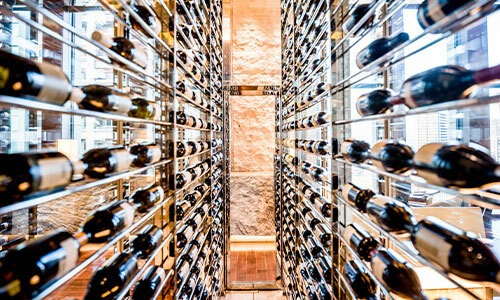 We offer the very best champagnes and wines including our boutique blend to complete your extraordinary dining experience at Pierre. Indulge in a sumptuous noon meal of delicately prepared culinary creations. From seasonal favorites to the Chef’s signature Olive Beef, Pierre affords fine dining in a bright and elegantly served setting. For elegant dining at its finest, Pierre affords extraordinary seasonal delicacies, featuring the Chef’s signature Olive Beef Shoulder and Sirloin, and a broad selection of fine wines and champagnes amidst sparkling night view grandeur. Indulge in Luxe High Tea, Pierre’s incomparable “salon de the” experience. Luxuriate in the very finest canapes of caviar, seafood, and Foie Gras, and complete your experience with an extraordinary selection of chocolate and fruit delicacies. Chef Okubo has worked in several three-star Michelin restaurants. 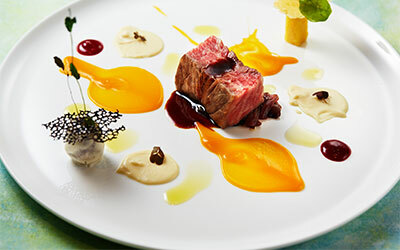 He blends French cooking techniques with the best produce of Japan’s seasonal ingredients to create a truly exciting dining experience. He uses every opportunity to learn and express himself in each dish with unique flavors, textures and presentation by always respecting French cooking techniques. Pierre’s deep cellar stocks more than 400 varieties of fine wines including boutique wines unique to InterContinental Osaka and extraordinary vintage champagnes. Our house wine is an exceptional and rare Bordeaux. Pierre offers a luxurious private room for that special occasion for parties of up to 12. Your exclusive haven affords gorgeous views of Osaka in a quiet setting of stylishly designed comfort. Smoking is not permitted in Pierre. The dress code is smart casual, and a dinner jacket is recommended. Children the age of 12 years and under are not allowed in Pierre. Menus and Prices are subject to change without advanced notice.